US Army MWR :: View Event :: Art & Hobby Shop: Make your own Mardi Gras necklace! Art & Hobby Shop: Make your own Mardi Gras necklace! Date: Feb 20 2019, 5 p.m. - 8 p.m.
Are you ready for MArdi Gras? 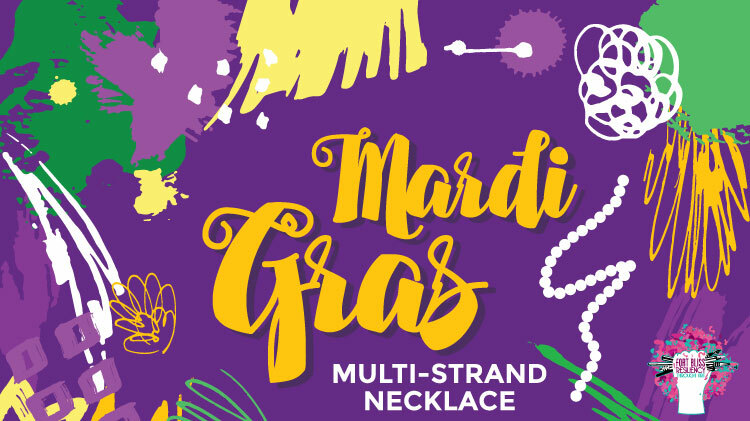 Come have a ton of fun and create your own multi strand necklace for Mardi Gras! $25 per person, includes instruction, materials and 1 glass of wine in a commemorative glass. Registration is required and can be done at the Auto Crafts Center, 820 Marshall Rd.